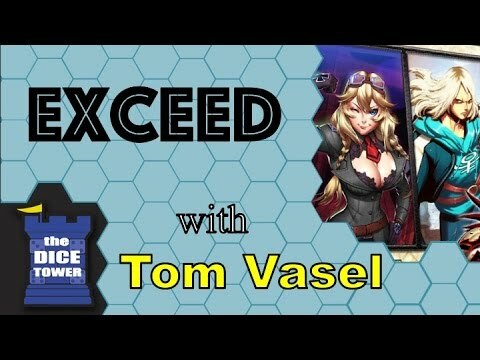 EXCEED is a new generation of tabletop fighting card game! Whether you prefer to fight with cerebral tactics, high-energy combos, or sheer reckless abandon, we've got you covered! Select your fighter and head into the ring! The game takes only 5 minutes to learn or teach, and every turn you're faced with simple but important decisions about what to do next. Created by 2-player game design veteran D. Brad Talton Jr. (BattleCON, Pixel Tactics, Millennium Blades), the game has been tested and balanced to provide an accessible, high-energy experience. Whether you're coming to EXCEED from the world of video games or as an expert card gamer, there's a lot to experience in the system.